Imagine, for some reason, that you only have profile-view photos of someone, and you would like to know what they look like front-on. One option would be to hire a very talented artist and have them extrapolate the face, based on what they know about the structure of humans. It turns out that, now, another option is to feed a neural network a bunch of images and let it do it! The results are, to me, are amazing! 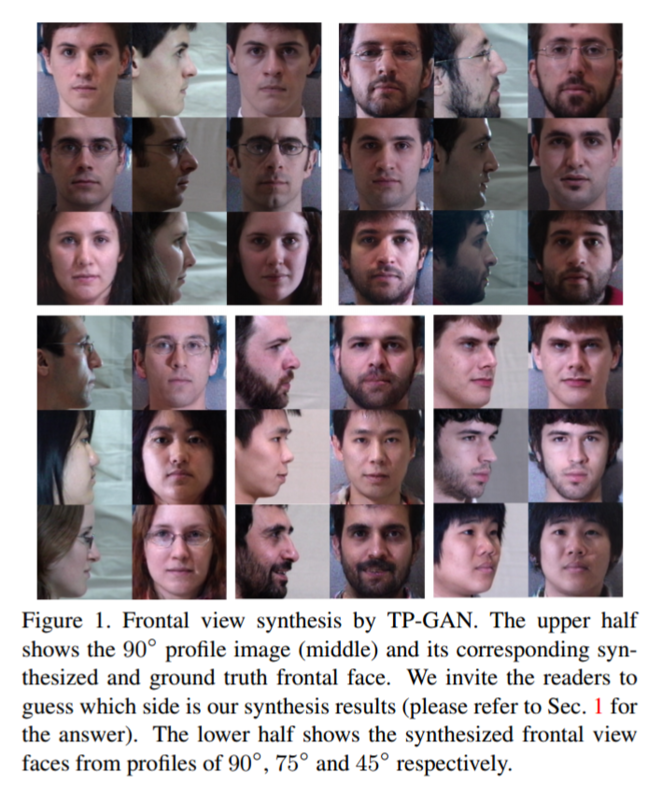 In the picture below the authors invite you to decide which is the machine-drawn face and which is the true answer, and it’s not immediate which is which!